While deciding where to travel for 2015 in our Recreational Vehicle, I was determined to see Gary Clark Jr. in concert. I caught him during a broadcast of the Rock and Roll Hall of Fame Induction ceremony – one of the artists performing to celebrate this event. Mr. Clarks’s rough blues guitar style combined with his raspy voice – well – one song and I was hooked. I had to see this guy live! Gary Clark has been the opening act for the Foo Fighter’s latest tour. Great! 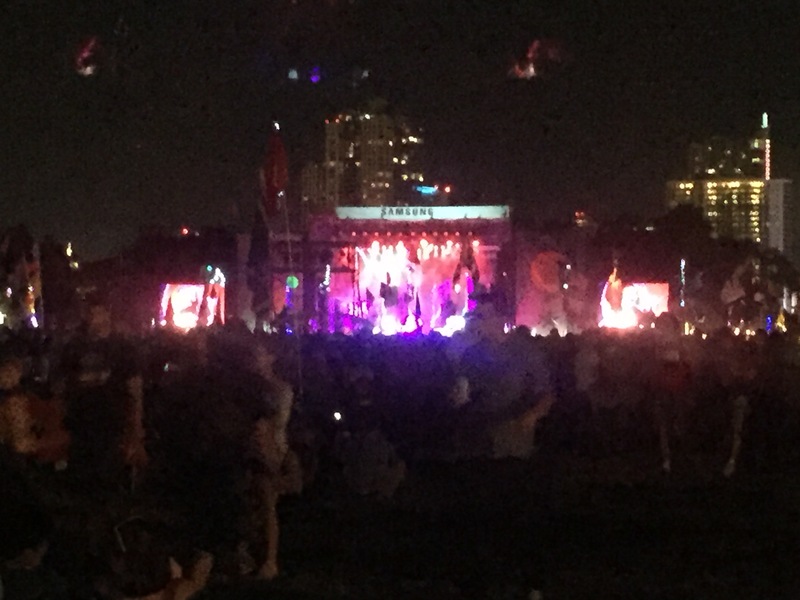 They were performing in Tennessee but even better – part of the Austin City Limits (ACL) Festival – the first two weekends in October. Hmmm – Maybe a visit during weekend One! We got tickets by standing over the computer at the right date and time, ready to hit the “send” button at the right moment. And scored tickets for the entire weekend. Now for a campground. 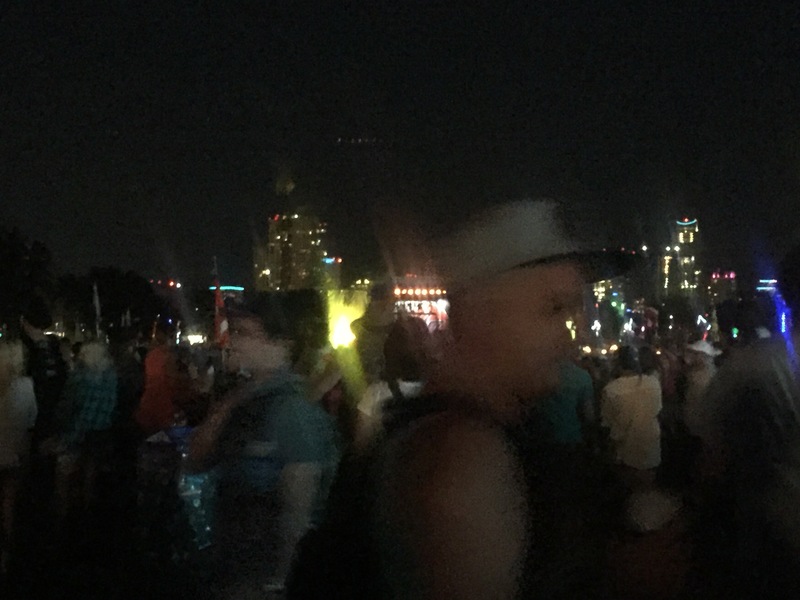 Pecan Grove RV Park was our first choice – located directly on Barton Springs Road, close to downtown and walking distance to the fest – Shut Out! We turned to Austin Lone Star RV Resort located about 7 miles south of the festival – not our first choice, but we were happy to get a spot close-in. We got a spot for the entire stay and were set for the Fest. Note: the campground was sold-out for the entire Fest. 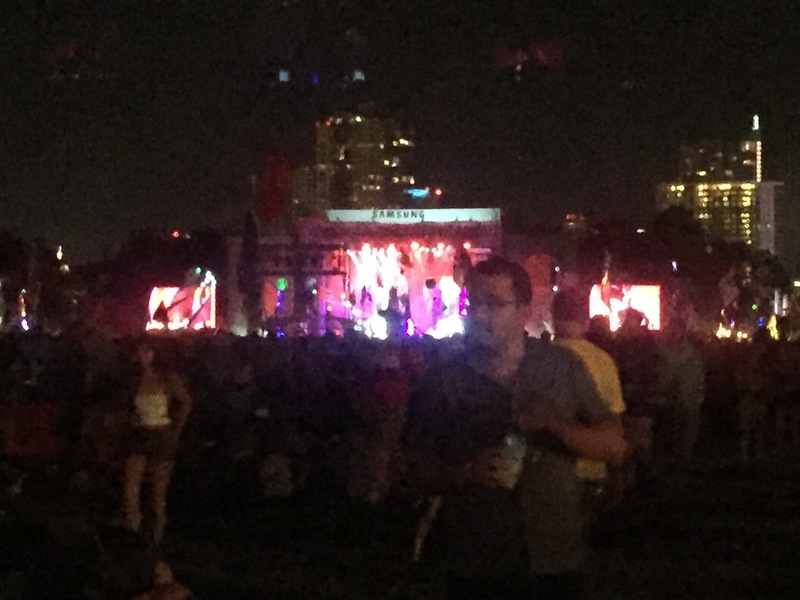 ACL takes place in Austin’s Zilker Park with eight separate stages. A logistical nightmare for those in charge and working the festival – it is a well-run operation. With two entrances that you can only access on foot or get close with a pedicab, unless you have a handicap parking hangtag. Getting to the festival is fairly easy once you are in the area. Roads are closed for pedestrian use only. 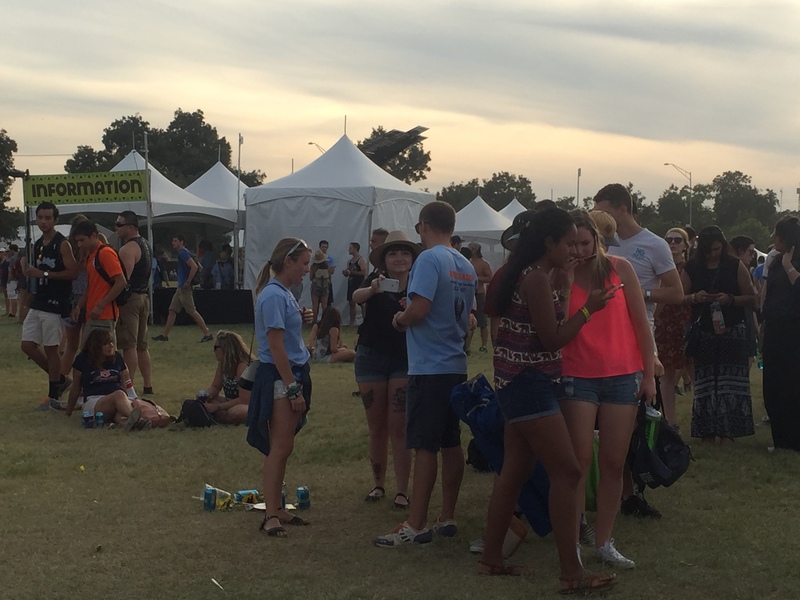 As we neared fest day – transportation to Zilker Park, festival home – became a concern. No parking, little public transport close to the park. What to do? I packed headlamps in case we had to walk. I packed paper and Sharpies for ride signs. I have been stuck without transportation after concerts before and it is not fun! preparation was key. No worries with Uber in town! Uber wanted a strong driver presence for the Fest and they succeeded. For those who have not used (or do not know of) the car service, downloading the Uber app puts drivers at your fingertips. Private owners drive their very clean, late-model car to your location and provide pleasant conversation, local information and a great drive. For a great price. Now that we had arrived at the Festival, scheduling music was key. Our first day, we caught the Foo Fighters, Rhiannon Gibbons, Billy Idol, Leon Bridges and smaller local acts. Gary Clark Jr. was the highlight of the day both solo on the Home Away Stage and with the Foos on their massive stage – Gary Clark apparently played the Fest when he was a teenager. Dave Grohl, still seated from his leg injury, professed his love of Austin and contemplated a home purchase in the area. Day two was a good music day as well. We spent a lot of time in the Tito’s tent which provided cover from the hot sun and good local music. While Rhiannon Gibbons was a performer in that space the day before (a great surprise as she deserved a larger stage…) the acts on Day two were smaller in scale. The Last Bandoleros gave a great performance – one of their vocalists – Derek James – reminded me of Roy Orbison. Call me crazy or suffering from too much sun earlier that day. Their Tex-Mex Rock & Roll got the place hoping. El Tule gave a later performance in Tito’s tent. A mix of Cumbia, Merengue, Salsa and Reggae from the band will get you moving. Hailing from Houston and performing at festivals throughout the country (and will be at the Fest Weekend 2). Named after a famed tree in the Oaxaca main town square with the largest tree trunk in the world – and possible UNESCO heritage site. The crowd loved their energetic performance – not a seat was used in the house! The big acts Saturday Night were Drake (we passed) and the amazingly, insanely popular Deadmou5. Many, many people were in attendance for the Deadmou5 show – which was a great electronic dance performance. Don’t consider sitting during this show…anyone who can use Trent Reznor’s music (with permission) must be great. And Deadmou5 closed another great music day. Superb people watching. This is Austin, after all, doing their part to keep it weird. Now that we were thoroughly exhausted and full of music, day Three was about to begin. We caught Kali Uchis early in the day and left soon after she started Just not a fan – but we did return to catch GRiZ who was insanely popular. Before the start of his set, people started flocking into the venue – and when he came on stage the place exploded! I thought I might get crushed as we were really close to the stage. 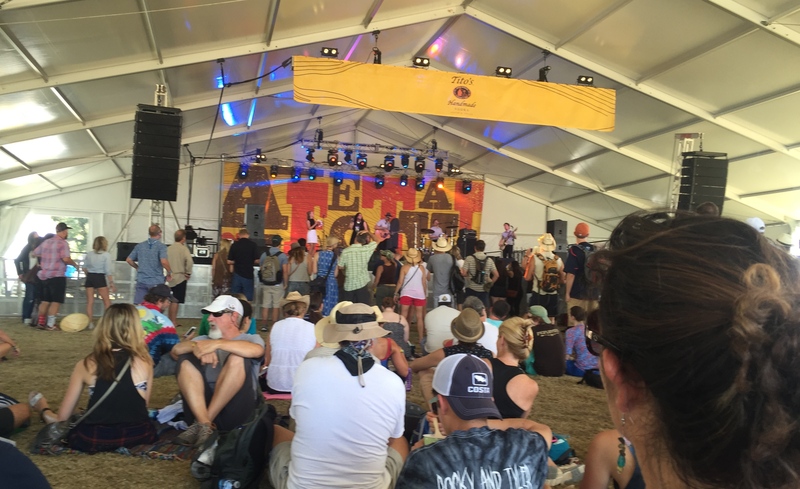 The Big Acts for Sunday were the Strokes and the Weeknd – but we elected to catch Dwight Yoakam performing on – surprisingly – one of the smaller stages. Very well attended and a great performance. Wow. What a beautiful voice and a great guitarist. Hope to see him again soon as he tours to support his latest album, 3 Pears. Any artist thats takes inspiration from George Harrison and weaves it into a creative product – well , hell Yeah. Calling early, early for a campground. Maybe even before you procure Fest Tickets, as we were shut out of Pecan Grove RV park by one phone call. One. Use Uber religiously. The total for our six festival car rides was ~$60.00. For six rides. Bring sunblock, 5 hour Energy, Sealed Water Bottles, chairs if you need them. We were glad we toted them along. Like your Mother told you, comfy shoes. Hat. You know, all that stuff. Taking Advantage of Good Beer in the Big Beer Tent. Activate your wristband. Great technology that allows you to link your entry wristband and pay for all those great beers without cash or a charge card. Catch small local smaller Acts. Worth you time & attention. Soak in all you can! 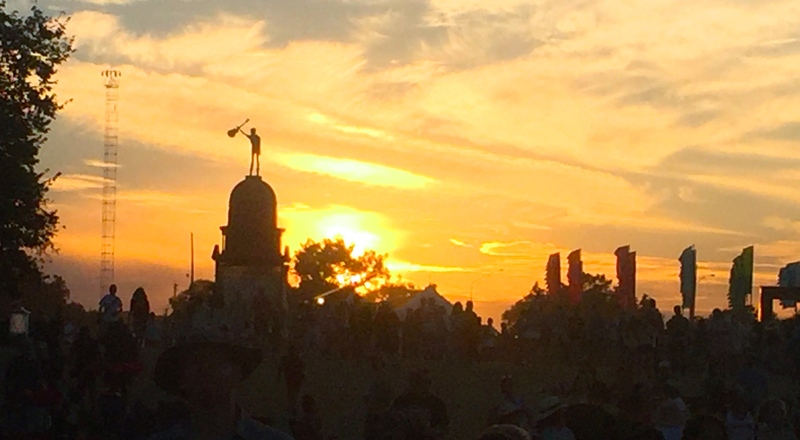 Getting to the Festival too early – all good/interesting acts later? Save yourself! for later in the Day. Buying Food at the Festival. Don’t. Crazy, long, unorganized lines. Eat before you go in (maybe at one of the Barton Street Eateries) and grab something on your trip out of the neighborhood. Do not waste your time or money on Fest food. Sorry! PediCab Patrol – waiting for You!